For as long as I can remember I’ve always lived at the intersection of worlds. The real and the imaginary, the artistic and the technical, onstage and backstage, the mystical and the every day. 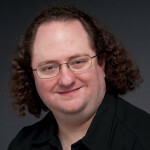 A rather corporate looking head shot of me. … has brought me some amazing experiences. I trained in designing sound for theater at Ithaca College. In my 4 years there I had the amazing gift to be guided by 2 of the most unique and gifted individuals I’ve ever met: Dr. John Bracewell and Dr. Peter Rothbart. They encouraged me to open the doors to ways of creating and experiencing the world that I had not even imagined. As I developed and explored my relationship with mysticism and mystical experience I had this idea in the back of my mind that there were ways of bringing my worlds together. Using the artistic and technical toolbox I had developed to create guides into deeper experience of the self. 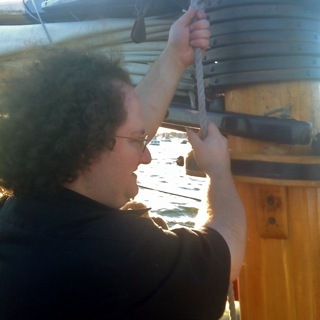 I think this gives you a better sense of me, in the case helping to raise the sails on a replica 1812 schooner. I played with lots of different ideas. I studied all sorts of things I was drawn to: Hypnosis (I’m a certified hypnotist,) shamanic practice, Reiki, lots of other energy work, subtle bodywork (Feldenkrais and a derivative of Alexander,) ritual and how to make it really effective, and on and on. All of these experiences have been sort of added to the melding pot in my mind and heart, for a long time I’ve wondered what would come out. If you want to learn the story of how Binaural Journeys came about, Click here. Or, if you want to TAKE a Binaural Journey now, click here to download the Journey of Relaxation.